Joe Barnes is a nice guy and a dedicated, skillful professor. Alexis Hartnett, the dean of his college, is starting to think she loves him. But then the wheels start coming off Joe's career, and Alexis has to decide whether to use her influence to save him. This lighthearted (well, sort of) take on the biblical story of Job asks the question: Is it possible to find unconditional love in a world full of expectations? Set in Bulgaria during the dark days of World War II, this historical novel is based on the true story of Tsar Boris III, the last king of Bulgaria, and his heroic struggle to save his Jewish citizens from death in Hitler's concentration camps. Though a German ally, Bulgaria is torn between her historic alliance with Russia and her growing economic dependence on the Third Reich. Stretched between these opposing forces, Tsar Boris tries to walk the tightrope that will keep his country safe from both Russian hostility and Nazi atrocity. The Bible gives us scant information about Jabez, whose brief prayer is recorded in 1 Chronicles 4:9-10. In this imaginative excursion into Israel's ancient past, we meet a man whose life began in pain, but whose relentless search for the blessing of a nameless god changes him forever. Addie Caswell is in love with Zeb Douglas, but her stern Methodist father will never consent to her marriage to the glad-handing Church of Christ salesman. Despite her father's disapproval, she plunges ahead, only to learn too late that Zeb's roving eye and frequent travels make him ripe for temptation. Set at the turn of the twentieth century in Chattanooga, Tennessee, Sunday Clothes is filled with unforgettable characters doing their best to deal with the flaws we all hide from each other ... and ourselves. In this first volume in the Daughters of Faith series, we witness the birth of the church in Jerusalem through the eyes of Mary Magdalene, whose damaged past continues to trouble her even as she learns to live with a heart renewed by the Resurrection. Volume Two of the Daughters of Faith follows Lydia, the first European convert to Christ. Scarred by tragedy, Lydia is nevertheless determined to forge a life and a place of her own among the elite trade in purple goods in the provincial town of Philippi. But when the successful merchant hears the words of a wandering Jewish preacher named Paul, her life changes forever. Blending biblical-era and contemporary fiction, Once upon a Cross is the story of Linus, the carpenter who built the cross on which Christ was crucified, and Janice, the modern-day woman who is writing Linus's story. As she struggles to tell the story of the carpenter and his tortured path to faith, Janice also chronicles her own confusion and pain, showing that the search for belief is as old as time and as current as this morning's news. 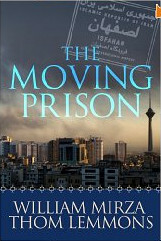 Ezra Solaimon, a Jewish pharmacist living with his wife and daughter in Tehran, watches with mounting concern as radical Islamists, inspired by Ayatollah Khomeini, expand their festering agitation into a full-blown revolution against the Shah of Iran. He concludes that he must leave the land of his birth, but he wishes to take with him the fruits of his very profitable business, in contravention of the wishes of the country's new Islamic leaders. In the meantime, his son returns from America and is drawn into a cell of violent counter-revolutionaries, and his daughter is being attacked at school. How can he keep his family safe amid the turmoil of a land in upheaval? 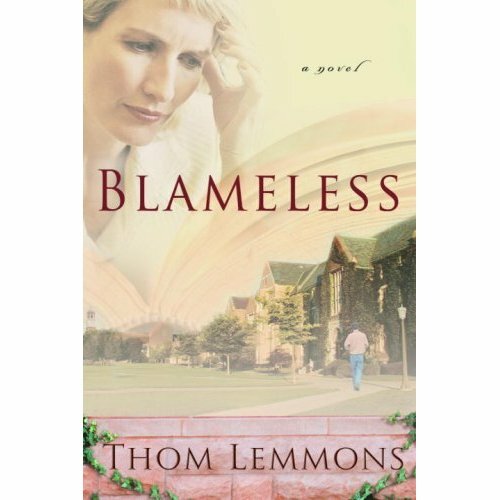 This collection of short stories, according to the foreword by best-selling author Max Lucado, "skillfully suggests things you never imagined" about some of the major and minor characters in the pages of the Old and New Testaments. If you could speak to the caterer of the wedding feast in Cana, the rabbi who taught Judas Iscariot as a young boy, or the child Isaac right after his return from the mount of sacrifice, you might hear something like the stories in Destiny by Choice. Jeremiah, the Old Testament's "Weeping Prophet," spent a lifetime preaching God's message of repentance to a people who refused to listen. 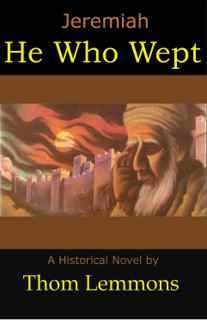 In the words of one of the characters in this sweeping novel, he was "cursed with vision in a land of the blind." Set amidst the clash of kingdoms and the rising and ebbing of empires, He Who Wept is a reminder that God's faithfulness is not limited by humanity's lack of understanding. Taken from his home by Nebuchadrezzar's conquering army and transported to the seat of the Babylonian empire, the young Hebrew Daniel and his friends soon rise to the top in the corps of the empire's public service. But Daniel's unique abilities soon bring him to the attention of the emperor--and draw the envy of the scheming courtiers. 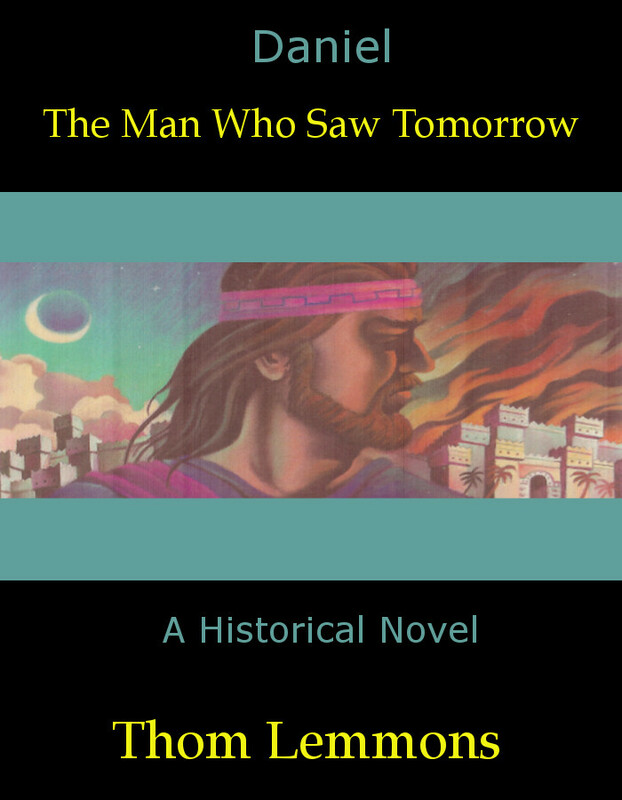 Featuring intrigue, grandeur, and an epic panorama of ancient history, Daniel, the Man Who Saw Tomorrow tells the story of a God who abides amid the shifting sands of time.